HYAK – It’s going to be a busy construction season on Interstate 90, as the Washington State Department of Transportation will start work in the next couple of weeks on a number of projects to improve sections of roadway from Snoqualmie Pass to Vantage. A number of road-improvement projects will cause delays for drivers this spring and summer while WSDOT and contractor crews build, repair and paint bridges; add lanes; and replace deteriorating pavement. Next week, crews will start making repairs to the bridge over I-90 at the Stampede Pass interchange (exit 62). This work requires the overpass to be closed from April 4 to June 1. Drivers will experience nighttime, single-lane closures during the week and nighttime detours onto the on-and off-ramps Tuesday, April 5, through Thursday, April 7, while the contractor removes the existing bridge span. In early April, crews will resume work to replace sections of the westbound lanes near Cle Elum. The westbound off-ramp to Oakes Avenue (exit 84) will be closed Monday through Friday throughout April. From mid-May until mid-June, it will be closed around the clock. During the off-ramp closure, drivers can access Cle Elum via the Peoh Road Bridge interchange at exit 85. Work resumes in mid-April on the I-90 Snoqualmie Pass East project that builds a wider, safer and more reliable stretch of I-90 from Hyak to Keechelus Damand from Keechelus Dam to the Stampede Pass interchange. In May, crews will resume rock-blasting closures. Drivers need to plan for hour-long closures Mondays through Thursdays, starting an hour before sunset. In early May, crews will resume painting the Vantage Bridge to preserve the bridge’s structural integrity. Crews started repainting the bridge last year and will finish this fall. Eastbound drivers will experience delays due to around-the-clock, single-lane closures. In June, crews will repave the eastbound lanes between mileposts 67 and 70 near Easton Hill, and the westbound lanes between mileposts 62 and 64 near Price Creek. Crews will also repave the eastbound and westbound lanes between mileposts 106 and 122 near Ellensburg. Drivers will experience delays due to single-lane closures through these work zones. WSDOT has a wide variety of resources to help drivers plan their trips across I-90. Drivers can find information on multiple websites, including the What’s Happening on I-90, Snoqualmie Pass and traffic alerts pages. Drivers can also follow WSDOT on Twitter using the handles @snoqualmiepass and @wsdot_east or sign up for email updates. OLYMPIA – With spring’s arrival, the Washington State Department of Transportation is reminding motorists that studded tires must be removed by the last day in March. Under state law, driving with studded tires after Thursday, March 31, is a traffic infraction that could result in a $124 ticket from law enforcement. In addition, studs can wear down pavement, so removing them promptly helps extend the lifetime of state roadways. Tire removal services can get crowded as the deadline approaches, so please plan accordingly. WSDOT will not be extending the studded tire deadline this year, but crews will continue to monitor roads, passes and forecasts and work to clear any late season snow or ice. Travelers are always reminded to “know before you go” by checking road conditions before heading out and staying on top of conditions with WSDOT’s social media and email alert tools. Washington and Oregon share the same studded tire removal date. Other states may have later deadlines, but the Washington law applies to all drivers in the state, even visitors. No personal exemptions or waivers are issued. OLYMPIA – There’s good news for drivers who use the State Route 16 Tacoma Narrows Bridge. The Washington State Transportation Commission recently voted to suspend a planned 50-cent toll rate increase on the Tacoma Narrows Bridge, scheduled to take effect July 1, 2016. The largest annual cost for the Tacoma Narrows Bridge is the debt service payment. The law requires debt service payments, along with other costs like maintenance, operations and insurance, be paid with toll revenues. The 30-year debt service schedule has payments going up every one or two years. Historically, traffic volumes have not increased at the pace necessary to meet these growing debt obligations. As a result, since July 2012, bridge users have experienced annual toll increases. But some toll relief has arrived this year. The Washington State Legislature provided $2.5 million in gas tax revenues to pay for the bridge’s debt service payments coming due between July 1, 2016, and June 30, 2017. This means the 50-cent toll increase planned for this July is no longer needed thanks to the state’s investment. Toll rates are now scheduled to remain at current levels through June 30, 2017. WSTC’s Chairman Anne Haley was pleased with the Legislature’s decision to provide funding for the Tacoma Narrows Bridge debt service payments. “This investment made by the Legislature brings a much needed break to the annual toll rate increases on the bridge. The commission is committed to working with Legislative leaders, the TNB Citizen Advisory Committee, and the Washington State Department of Transportation to determine long-term options that may bring toll rate stability to the drivers of this bridge,” said Haley. The commission will hold a final hearing to reflect in the administrative code the rate suspension decision. The hearing will start 1 p.m. May 17, at WSDOT’s headquarters building, 310 Maple Park Ave SE, in Olympia. OLYMPIA - The Washington State Transportation Commission chose “Suquamish” as the name of the state’s fourth Olympic-class ferry at its meeting Wednesday, March 16. The selection follows a public process in which the commission considered three eligible names – Cowlitz, Sammamish, and Suquamish – and sought input from Washington State Ferries, the Ferry Advisory Committee Executive Council, ferry riders and the general public. Names for ferries should carry statewide significance and represent our state’s image and culture. Specifically, names should represent such things as: state adopted symbols, tribal names, names of bodies of water, geographic locations, cities, counties, relate to nautical heritage, etc. Consideration will be given to the consistency with existing Washington State Ferries fleet names. Names should have broad familiarity, are non‐offensive, and meet ethical standards. Names with commercial overtones or names honoring or commemorating individuals should be avoided, but will be considered upon very careful review. Many of the 23 vessels in Washington State Ferries’ fleet have names reflecting the state’s tribal, geographic and historic heritage. The most recently named vessels – Chimacum, Samish and Tokitae – are in keeping with that tradition. OLYMPIA – The State Transportation Commission will revise hours of operation for Interstate 405 express toll lanes and propose 2016 toll rate changes for the State Route 520 bridge and the Tacoma Narrows Bridge when it meets next week in Olympia. The commission also will name the next Olympic Class ferry. The meeting starts at 9 a.m. Tuesday, March 15, and 8:30 a.m. Wednesday, March 16, at the Transportation Building, 310 Maple Park Ave. SE, on the Capitol Campus in Olympia. This meeting is open to the public and persons wishing to speak to the commission may do so during the tolling discussions on Tuesday afternoon and during the public comment period at 11:45 a.m. Wednesday. On Tuesday, the commission will consider the latest performance data on the I-405 express toll and general purpose lanes, and take action requested by the Legislature to change the hours of operation of the toll lanes. The commission also will discuss and determine needed changes to toll rates for the SR 520 bridge and the Tacoma Narrows Bridge to ensure the state meets financial and debt requirements. Following a briefing from financial consultants on several options that are designed to increase toll revenue by 10 percent over several years, the commission will move forward with one SR 520 toll rate proposal, on which it will seek public comment in April. The commission in 2015 adopted a 50 cent toll increase for the Tacoma Narrows Bridge, scheduled take effect July 1, 2016. But, thanks to higher than forecasted bridge traffic and a $2.5 million appropriation from the Legislature, current toll levels will be able to remain in place for one more year, through June 30, 2017. On Wednesday, the commission will name the fourth Olympic Class ferry scheduled to begin construction this spring, selecting from among the names: Cowlitz, Sammamish and Suquamish. The commission also will hear a briefing on federal and state requirements for minority and women’s contracting, and current state efforts to improve contracting opportunities for minority and women owned businesses. The commission also will learn about the schedule for updating the operational strategies and long-range plan for Washington State Ferries. Operational strategies developed by the Washington State Department of Transportation and the commission are used to guide future investment decisions and fare policies. Port of Chelan County Commissioners approved a $10,000 contribution toward the Our Valley What’s Next program, led by Alan Walker’s United Way. Port of Chelan County representatives sit on many of work groups in the program and believe some strategies formed may fall under Port Authority for Economic Development. Port of Chelan County to Provide Match for Olds Station Connection to the Loop Trail. 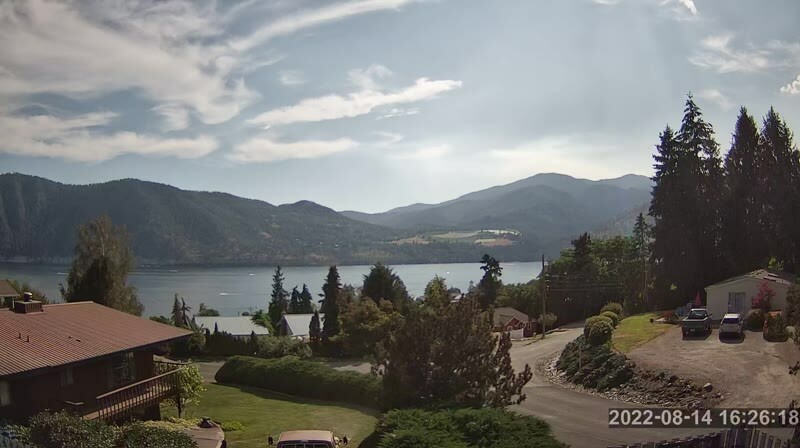 Port of Chelan County Commissioners approved a matching contribution of $15,000 toward the WSDOT Grant Application to fund construction of a bicycle and pedestrian path south of US 2 near the Olds Station Business Park. If the grant is approved, the path will connect Easy St. to the Apple Capital Loop Trail. The Board of Commissioners of the Port of Chelan County will meet in special session on Wednesday, March 9, 2016 beginning at 10:30 am. Special meeting items include the consideration of a contribution to “Our Valley What’s Next”, the consideration of a letter of support and commitment of matching funds to a WDOT grant proposal, the consent agenda, and an executive session. 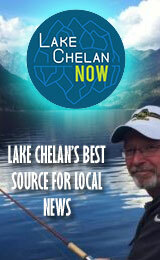 This meeting will be held in the conference room at the Port of Chelan County located at 238 Olds Station Rd. Suite A, Wenatchee, WA 98801. The special meeting agenda is below. A. Minutes of the February 18, 2016 regularly scheduled meeting. OLYMPIA – Washington State Department of Transportation maintenance crews performed more than 2.6 million hours of work in 2015 without getting a single environmental notice. That’s roughly the equivalent of a two-man crew working every hour of every day since Alaska was purchased in 1867 and never once impacting the environment. WSDOT recently published its quarterly performance and accountability report, the Gray Notebook (pdf 3.7mb). In addition to environmental compliance, the report takes a closer look at the data and the stories behind pavement conditions and whether they are improving, how commute trip reduction is reducing costs for drivers, and how drought conditions impacted Grain Train carloads in eastern Washington. To learn more about WSDOT’s performance or to review Gray Notebook 60 or its condensed Lite version, visit www.wsdot.wa.gov/Accountability/. OLYMPIA – Beginning March 7, small dogs and cats can join their owners on Amtrak Cascades trains for their next adventure. Previously, only service animals were allowed on Amtrak Cascades trains. Small cats and dogs can now travel on Amtrak Cascades in accordance with the new pet policy. Pet reservations will be accepted for travel beginning March 7 and can only be made with a reservation agent at 1-800-USA-RAIL or at a staffed station. Pets are not allowed on trips to Canada and cannot be booked on trips lasting longer than 7 hours. 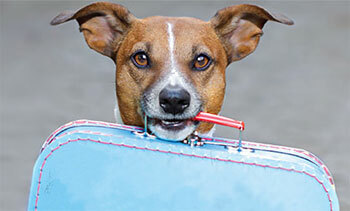 Traveling pets must be odorless and harmless, not disruptive, and require no attention during travel. Onboard personnel maintain the right to refuse acceptance of or remove from the train any pet exhibiting these issues. Onboard crews will work to accommodate any travelers with allergies or other pet concerns.